Referrals drive revenue for a business. And if it’s real estate, there is no better a referral than that from your customer. Thus, a referral is a recommendation by a customer who trusts in your business. A referral from a client, if pursued properly, presents a high-quality lead opportunity that is easier to close. It is imperative for businesses in real estate to seize such rich opportunities to prosper. RealtyX is a breakthrough innovation, a platform that empowers your real estate business by harnessing its potential. The platform enables businesses to drive greater sales via verified referrals. In the light of such prospects, Raunak Group and Mayfair Housing, two of the leading real estate developers in Mumbai have joined forces with RealtyX, the ingenious Proptech platform. Raunak Group, a Mumbai-based developer, is reputed for its constant efforts to offer quality homes at affordable rates. Consistently innovating their approach towards the industry, the brand collaborated with RealtyX to redefine the home buying experience of their customers. Mayfair Housing has been aiming the segment of luxury living in Mumbai, focused on providing world-class amenities to its customers. The realty firm wants to ensure their efforts are met with the right resources, enabling them to exceed their goals. 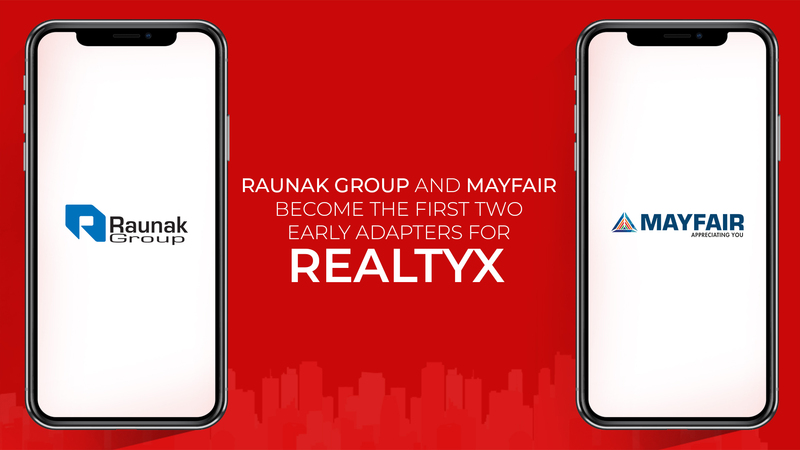 RealtyX has powered the brand app for both, Raunak Group and Mayfair Housing. The apps have been custom-built to cater to the diverse needs of both the brands. With the app, customers can refer homes and earn points, and redeem these points anytime via partner platforms, including but not limited to Amazon and Croma. Using the app, both the brands can connect with their customers in real-time. It can quickly address customer grievances, track potential leads via referrals, reward customers with points for worthy referrals, and send customized updates and messages, all of it just via a single integrated platform. Hence, it can be surmised that Raunak Group and Mayfair Housing, both, have gained the first mover’s advantage by choosing RealtyX to build a close bond with their customers to reap recurring benefits. nice details. i will follow this blog.